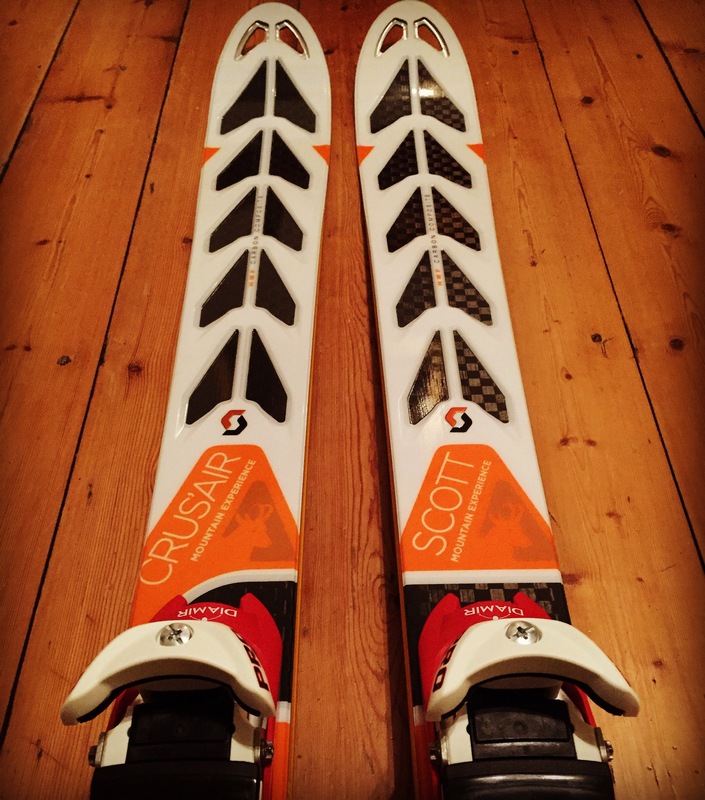 After a few years obsessing about ski touring I finally bit the bullet and bought myself some bling as a Christmas present to myself. A frustratingly mild December required some patience as my shiny new gear decorated my flat. 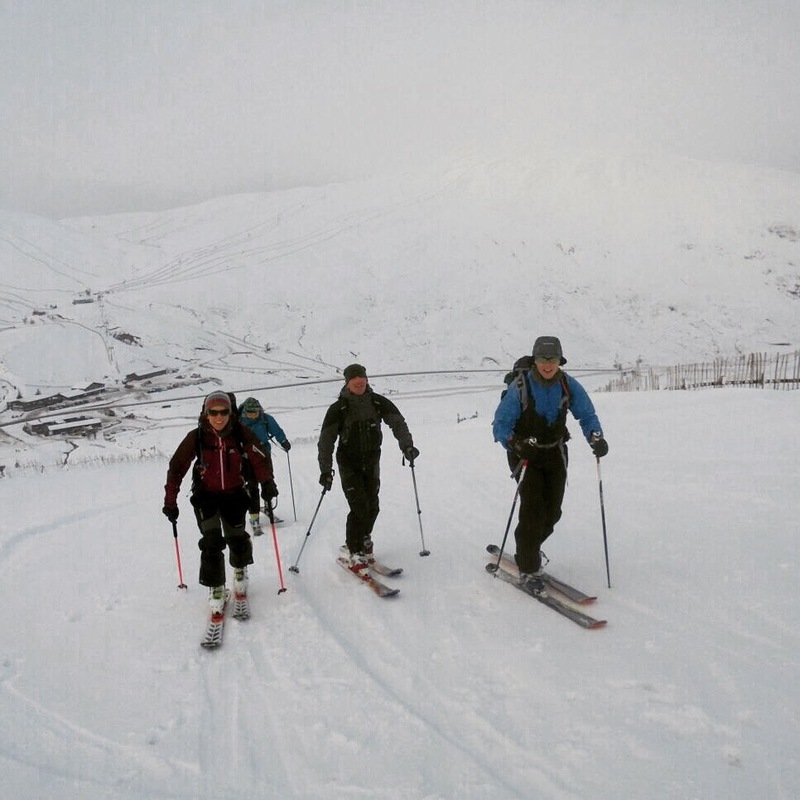 Finally the snow arrived and we headed to Glenshee for a snowy adventure. The forecast wasn’t great so we decided to skin up towards Meall Odhar and take it from there. 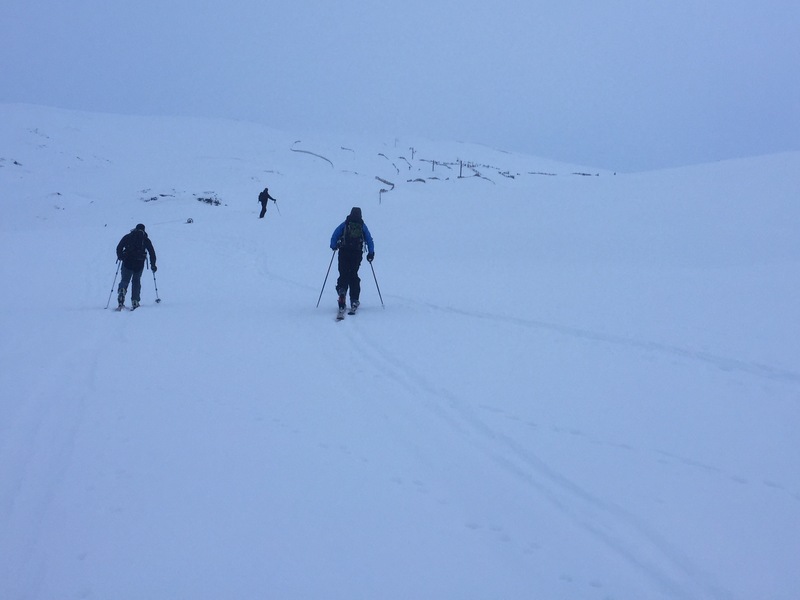 There was a bit of faff as we got used to things but I was looking forward to finding out how the skis and boots handled on the descent. I was hoping to use the set up for touring and downhill and considering taking to Tignes in February. First bit of downhill and my back wasn’t happy…..at all. Unfortunately something had set it off but we put the skins on and continued to the top of Meall Odhar. Looking over towards Glas Maol the weather was closing in so we played it safe and skied south off the summit. I was struggling and needed to call it a day. Gutted. My back was in spasm and not coping with the skinning or skiing. Unfortunately I still had to get back to the car. Ouch. Now heading into week 5 of acute back pain, 2016 has got off to a pretty bad start with another phase of injury and rehab. This has been my toughest injury yet both physically and mentally. Of course it’s difficult coping with no sport, pain, not much sleep and having to cancel my ski holiday but I’m going to think about some of the positives. I’ve discovered a new cafe close by which is mostly vegan, gluten free and organic – Moon and Hare, Bruntsfield. You must check it out! I think I have to accept I’ve got bad genes in terms of injury risk. My bones have withstood some pretty hard mountain bike crashes but my tendons, ligaments and muscles seem overly susceptible to injury. There might also be a bit of bad luck and ignoring wee niggles but this setback has taught me I need to respect my body like I do the landscape and nature it spends so much time in. This entry was posted in Outdoors and tagged Glenshee, Ski touring on 05/02/2016 by Mangoventures.